Freedom Cycles, the Cycling store where customer service still comes first! We are an independent Cycle dealer in Lichfield, Staffordshire. Situated in the bus station in this historic cathedral city, we opened our shop in April 2009. As cyclists ourselves, we believe we have the passion and desire to make sure everyone is happy on two wheels! We started our store journey as part of the Raleigh Cyclelife network, and as such we are able to offer the full range of Raleigh bikes and accessories. As we have grown as a business, and our customer base has expanded, we have developed our range of bikes and accessories to satisfy all – bike brands stocked now include Diamondback, Focus, Haibike, Tifosi and more manufacturers are being added all the time. We have over 80 bikes on display, with more in stock and readily available, ranging from toddlers trikes to tandems, full range of children’s bikes, bmx, town and country, all terrain and mountain bikes, and a full range of road bikes for all riders – right through from beginner to serious competitor. Parts and accessories are readily available throughout the store, brands such as Altura, Polaris, Lusso and Moa for clothing, Campagnola, Shimano, Sram, Cycleops, Stans, Camelback, Motorex, Muc Off, Moon and many many more. If we don’t have an item in stock when you call in, we can normally get a very prompt delivery from our suppliers. We have been heavily involved with Lichfield District Council in supporting and helping to run the ‘Cycle Rides for All’, a community ride which takes place once a month from March to September, on the last Sunday of the month, and has grown in numbers over the last four year’s. Further details of this year’s program of rides will be available shortly – see our website for updates. Also, we have our very own FREEDOM RIDERS – a group of like minded cycling friends, and we ride from the shop every Tuesday evening at 6pm – this is a road bike ride, normally between 20-30 miles at a steady (ish) pace. We organise a number rides throughout the year, culminating in the Freedom 69er – a 69 mile ride, normally in September which we raise funds for Charity, last year raising over £400 for SSAFA the forces charity. This years planned rides so far are the March Den Engel run, a steady ride up to Leek on Saturday 22nd, stay over for a meal and drink, followed by a longer ride back on Sunday 23rd. On August bank holiday, we will be leaving the shop in Lichfield at Midnight for a ride through to Barmouth – arriving on the sea-front in the morning – once you’ve done this one, you’ll want to do it again! And of course the Freedom 69er in September. Our servicing is carried out by Cytech qualified technicians, and we repair all makes and models of bike. We are happy to quote on any service or repair job that you are contemplating. Complete rebuilds, refurbishments, wheel builds, standard and special services, even replacing inner tubes! As we are celebrating our 5th birthday in April, we will offer a 10% discount off parts and accessories to any customer bringing this copy of Recommended magazine with them when visiting the store. This article appears in Lichfield Recommended Magazine, a free publication delivered to homes and businesses in Lichfiled and surrounding areas. A local voluntary charity that helps patients with life threatening illnesses has its 40th anniversary this year. To contribute to the celebrations, the League of Friends of John Taylor Hospice wants to recruit 400 adults, children and even dogs to take part in the Great Midlands Fun Run in Sutton Coldfield in June. Registration begins on 1st February and their recruitment drive was given a send off by Birmingham’s Lord Mayor Councillor Mike Leddy, the Lady Mayoress Pauline Leddy, Erdington MP Jack Dromey and Tracey Spare Director of the Fun Run for over 20 years. The Great Barr Gazette is a magazine delivered free to homes in Great Barr and surrounding area’s. Looking back is traditional at this time of year, especially as we have a bright shiny new one to make a mess of. Such a lot of rain made it a difficult time down in the Valley. Our wildflower meadows missed the correct time for mowing and we have to hope that it has not too much effect on this new year`s display. Certainly the undergrowth burgeoned massively and it meant machete time around the Boardwalk and at various other points where the greenery impeded a walk or ride. Earlier in the year we had a go at the Himalayan Balsam that infests the brook and would hope to do the same this coming spring. There are those that would have us clear out the stream of its silt and and weeds but I think that the fact that fish and crayfish have returned are an indicator of good water quality. The long bright green weed that has white flowers is water crowfoot , again a natural sign of water quality. Also, we will be adding some extra, long awaited , litter and waste bins shortly as a joint effort between the Council and the Steering Group. ( We pay for `em ,they get `em emptied!) The muddy gateway at Allendale Rd has at last received our attention and been meshed. Apart from work of course there has been much to enjoy and appreciate. The lush summer gave way to a spectacular autumn and now winter. Whatever the season there is always good reason to get out there and enjoy, `cos it is the users who make it what it is , ours. Ours, also, is the Green Belt that surrounds us. It is under pressure from an increasing city population. I fear that the case for releasing some of it (400hectares) is too strong to resist. However, with the right response to the current consultation we should be able to mitigate its effect on our locale. If you have not already done so , please comment on the proposals before the end of January. Try to make objections objective and offer alternatives. Don`t be afraid to be a Nimby , because Nimbys care about where they live and how they live. Be heard and least say you tried. Your kids may yet thank you for it . a local magazine delivered free to over 8000 homes. 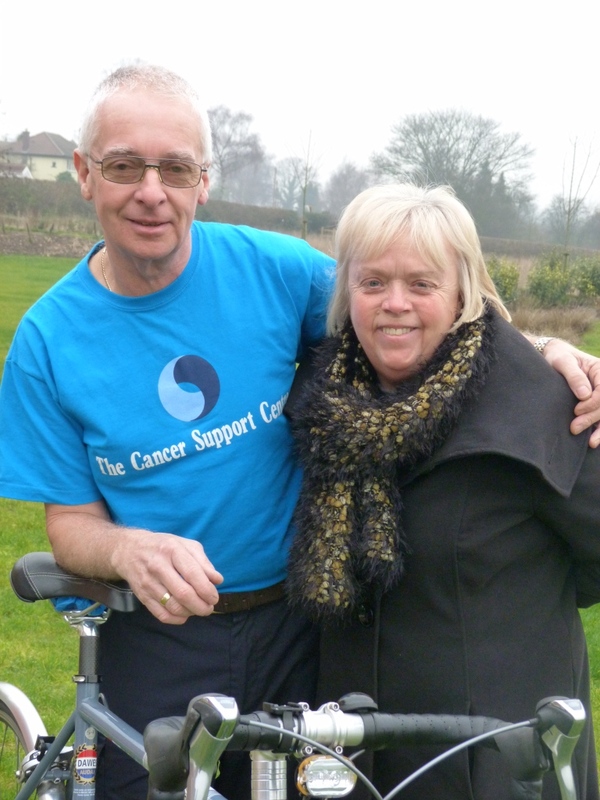 Why not sign up for a challenge and raise funds for the Cancer Support Centre – a local charity based in Sutton Coldfield, working to help local people affected by cancer. The Cancer Support Centre is asking people if they have set themselves a New Year’s resolution if they would also add a charity challenge to this as well and raise some much needed funds for the Cancer Support Centre. There are lots of ready made opportunities that people can take part in. For example the Great Midlands Fun Run 2012 opens its registration for this year’s event on Friday February 3rd and the Cancer Support Centre has a small number of guaranteed places for the Birmingham Half Marathon later in the year. The Centre would also love to hear from anyone who may be undertaking a more gently challenge as they can help with ideas and materials such as sponsor forms and posters. To find out more about how you can help The Cancer Support Centre, Sutton Coldfield and local people living with cancer call Ann Mckeown on 0300 012 0245 or email fundraising@suttoncancersupport.co.uk for details of the latest activities. The Solstice Walk is open to women aged 16 and over, and entry is £15. To sign up, visit http://www.stgileshospice.com/solsticewalk, calling Jenni Dawson on 01543 432542, email jenni.dawson@st-giles-hospice.org.uk.